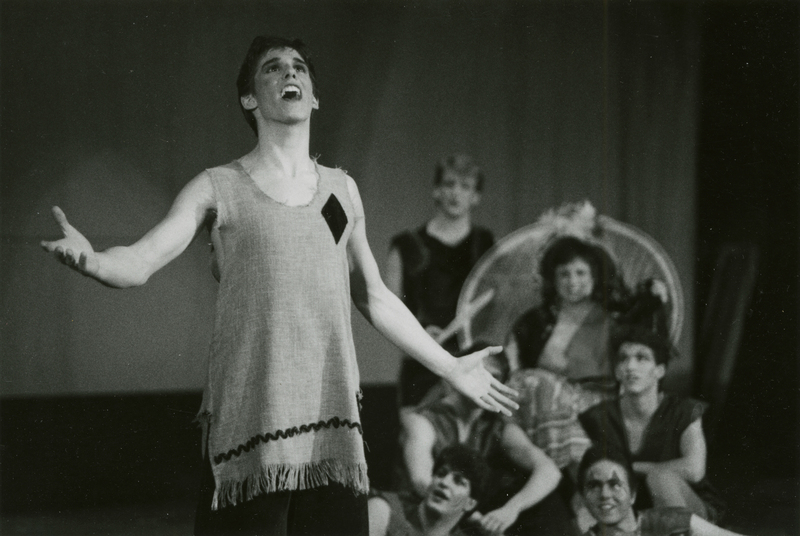 In the 1968-1969 school year, the various theater groups chose to consolidate into the Committee (or Council) on Performing Arts (COPA). The unification occurred for a number of reasons including a decrease in student participation and financial constraints. 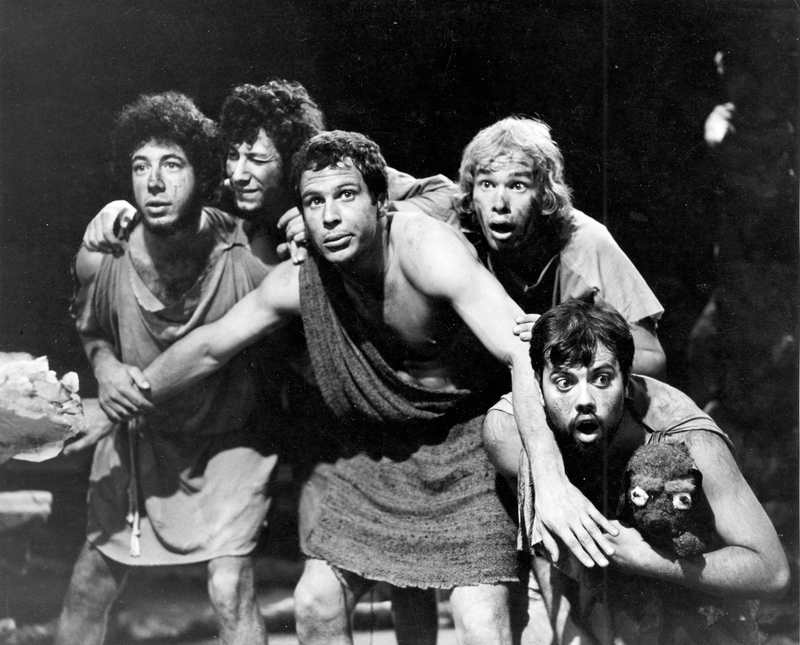 With an increase in student enrollment, the theater groups also faced more competition from other student organizations for spaces traditionally used for rehearsal and performance. 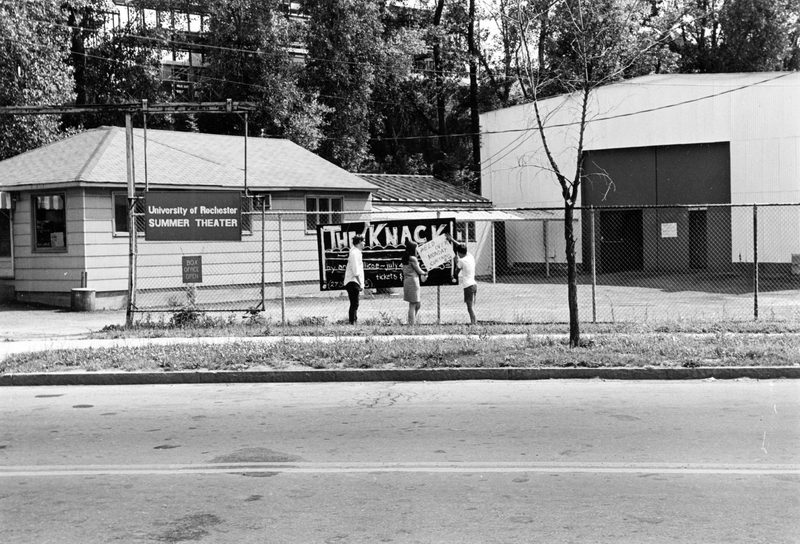 Although the River Campus underwent significant expansion of academic and research facilities in the 1960s and 1970s, a coordinated student push for a new theater in the late ’60s was unsuccessful. The departure of faculty members played a role as well: Kenneth Cameron left the University in the spring of 1968, and Lisa Rauschenbusch retired in the spring of 1969. 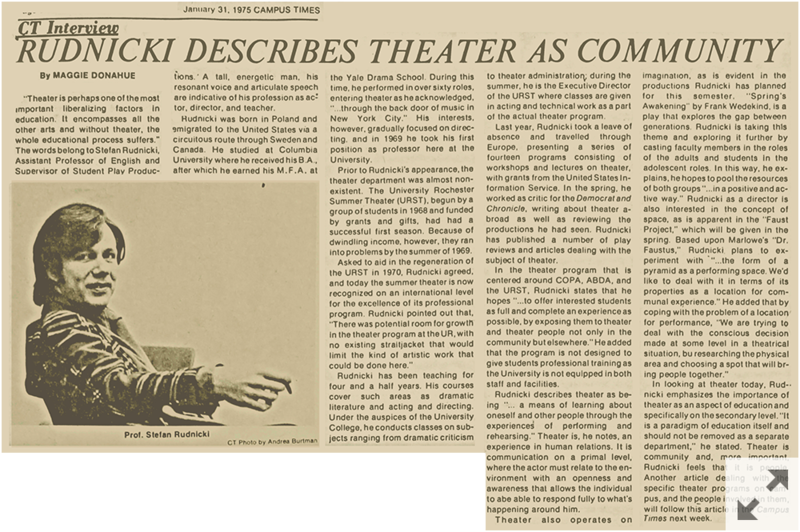 While the Rochester Review excerpt about Debra Jo Rupp suggests that a “theater department” was created in the early 1970s, a formal theater department was still years in the future. 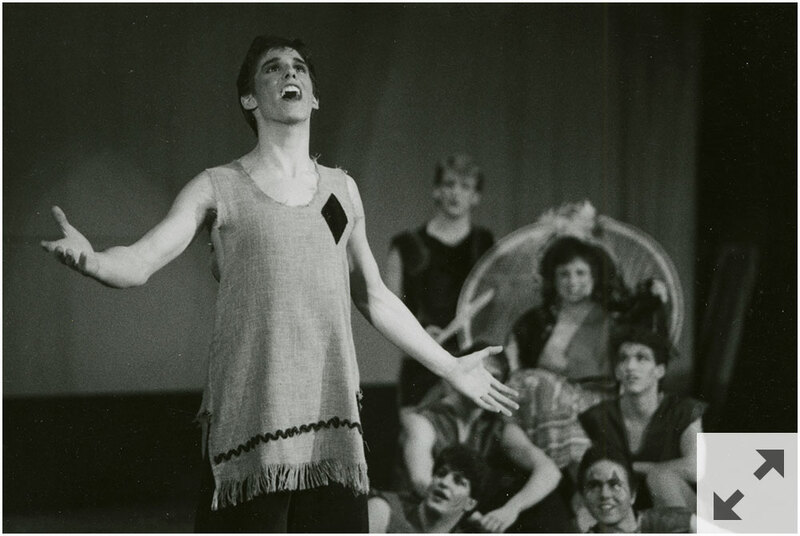 However, the consolidation helped to organize student theater in such a way that it gradually garnered increasing support from the Department of English and the University’s administration. Davis, Pete. “‘Revolutionizing’ Theatre: Theatre Forum Seeks out New Ideas.” Campus Times. March 11, 1969. 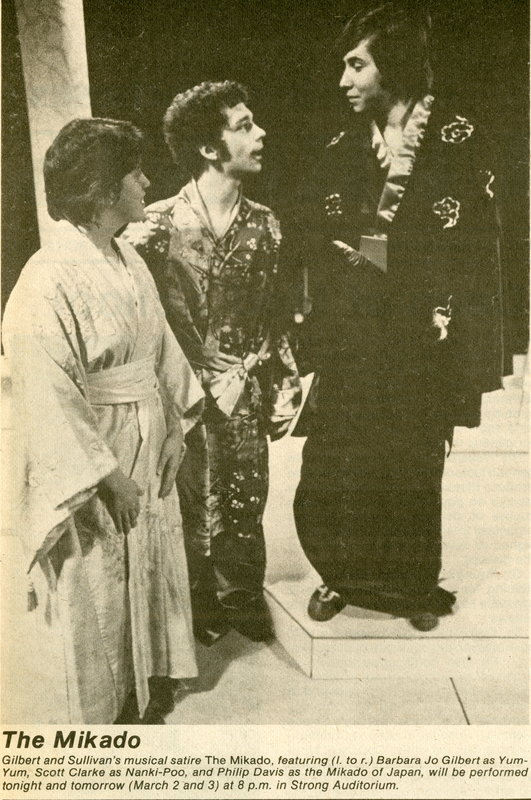 Currents, the University’s faculty and staff newspaper, has often featured articles about University theater such as this piece on COPA’s production of The Mikado by Sir Arthur Sullivan and W. S. Gilbert. The Association for Black Drama and the Arts (ABDA) staged numerous productions in the 1970s and 1980s that were expressions of the black community’s concerns after the violence and civil unrest of the 1960s. City and local newspapers have printed many promotional articles and reviews of productions at the University. The Times-Union was the afternoon daily counterpart to the Democrat and Chronicle for almost eight decades. 1975 - A Midsummer Night’s Dream by William Shakespeare. Summer Theatre. As its name suggests, UR Summer Theatre (URST) offered students the opportunity to participate in shows during the summer. 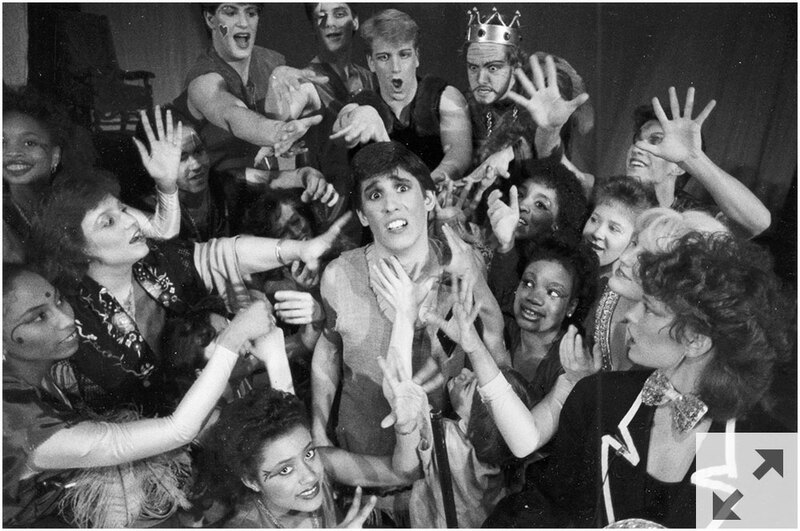 From 1968 through the 1989 season, the casts for Summer Theatre productions featured professional and semi-professional actors working alongside student actors. Apprenticeships and employment related to directing and set design were offered as well, and three to five popular shows were staged each summer. 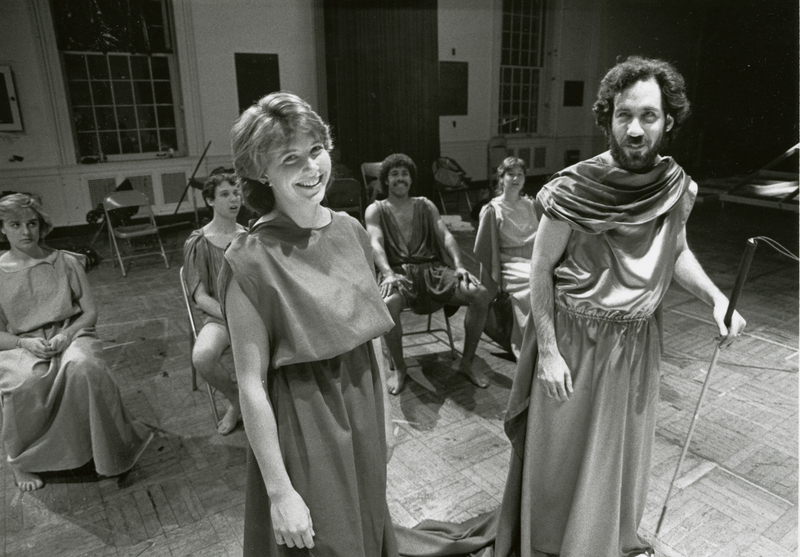 As URST developed, students received academic credit for their participation through the then-popular evening and summer school offerings of the University School, which offered a degree program for part-time students at the undergraduate and graduate levels. 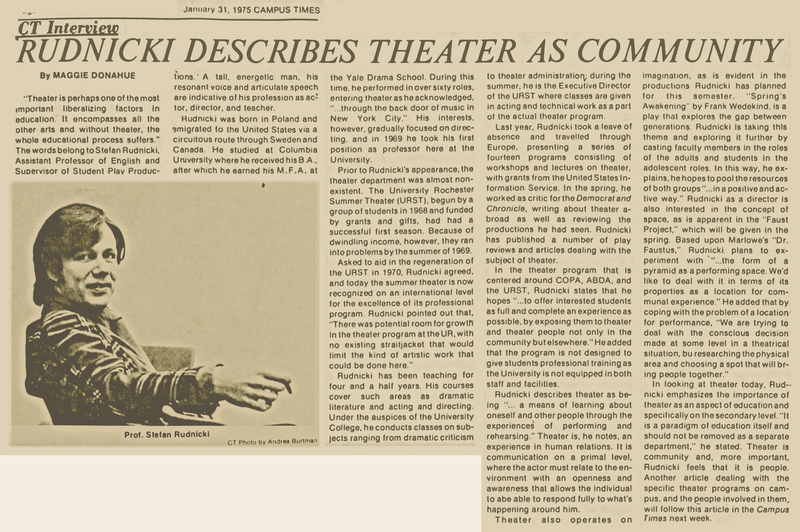 Stefan Rudnicki was a faculty member in the Department of English and the director of UR theater from 1969 to 1977. David Richman was hired in 1978 to replace Stefan Rudnicki. He directed theater at the University and was a faculty member in the Department of English until the late 1980s. 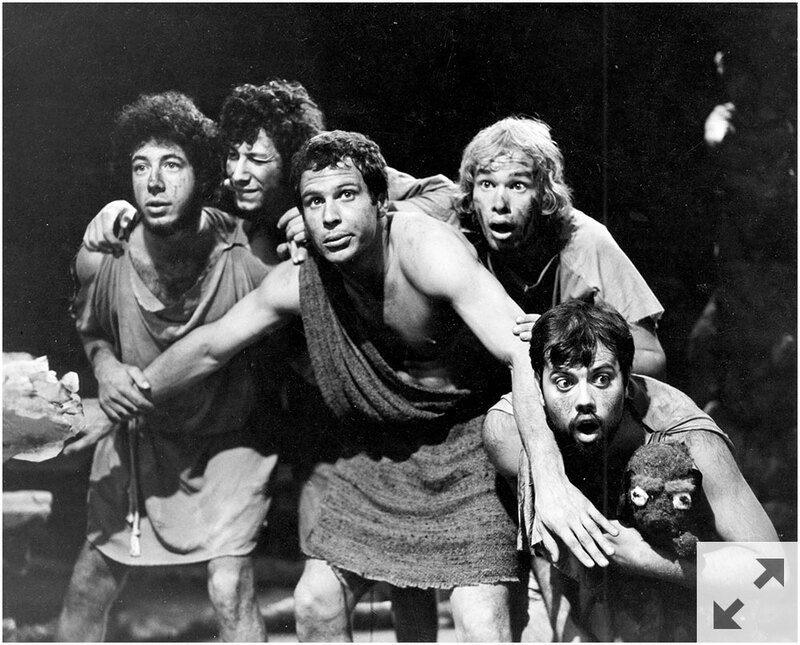 For the first ten years of UR Summer Theatre, most of the plays were staged in a former asphalt factory/warehouse. The building was located on Wilson Boulevard, near where the Department of Public Safety is stationed today. The Summer Theater was not air-conditioned, and the sound of fans blowing during performances made the voices of actors difficult to hear. 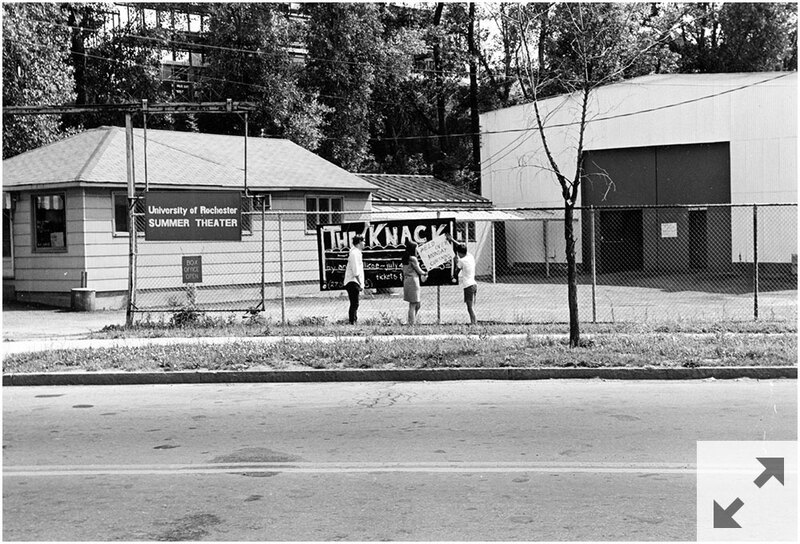 Shown here is a photograph of the exterior of the Summer Theater along with a photograph of technicians at work inside the theater. Even though this exhibit focuses mainly on actors and directors, the importance of technicians and set designers to UR theater history should not be forgotten. 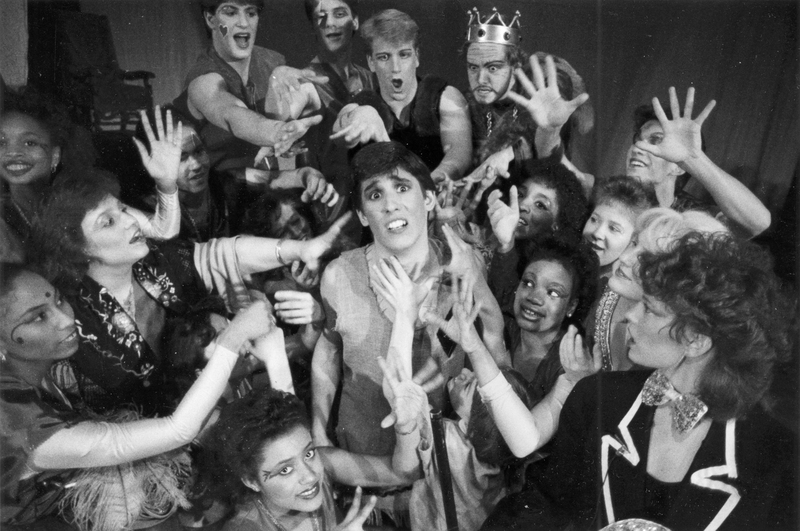 Without the hundreds of students who have done backstage and technical work, theater at the University would not exist.